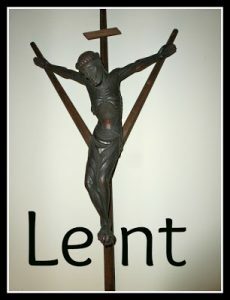 Lent is just around the corner. Ash Wednesday marks the beginning of the Lenten Season and in 2019 will be March 6. How about some quick facts about Lent? Lent is the 40 days before Easter, not counting Sundays. Purple is typically associated with Lent, suggesting repentance and solemnity. Purple, as all colors, is full of symbolism. Its deep dark richness invites us to slow down and consider the sacrifices Jesus did for us. In most Christian denominations, Lent starts with Ash Wednesday, which is derived from the practice of placing ashes on the foreheads of the faithful as a sign of repentance to God. The ashes are made by burning the blessed palms that were distributed the previous year on Palm Sunday. Does your church hold this tradition? Shrove Tuesday is March 5, the day before Lent begins and marks the end of the season of Epiphany. It is also called Fat Tuesday and Pancake Day. Yes, the celebration of Mardi Gras. Shrove is the past tense of the word shrive, meaning to confess and seek forgiveness. I may have to ask for forgiveness for eating too many pancakes that day. Actually, legend tells eating pancakes on Shrove Tuesday came about as a way to use butter, eggs, milk, and fat in preparation for fasting during Lent. The practices of Lent involve prayer, fasting, and almsgiving. I wrote a blog post about 15 Lenten Practices you may be interested in here. Lent originated in the first three centuries A.D. and, over the centuries, developed from a one- or two-day observance to forty days. Did you know that the McDonald’s Filet-O-Fish sandwich was inspired by Good Friday and a good business idea? Lou Groen, a McDonald’s franchise owner in a Catholic section of Cincinnati, noticed that his burger sales were dropping off on Fridays. His solution, in 1962, was to come up with the now-famous fish sandwich. In you, I have sealed the treasure of all I have. How are you preparing for Lent? If you are looking for a good book to read during Lent, I wrote 40 Voices, a Lenten Devotion that is available on Amazon. Thank you for considering this book. How does Lent help you focus more on God? PS Thank you for all your kind comments on last week’s post about blogging for 10 years. With the random number generator a winner of the Amazon Gift card was chose and has been notified by emial. Congrat Elizabeth!! Oh, that Martin Luther prayer is wonderful. Thank you for sharing it, Jean. I’m printing it out for further meditation. Will order your Lenten devotional book too! Thanks for that informative read 🙂 That McDonald’s fish sandwich story reminds me of being eight years old and my mom buying one of those fish sandwiches and cutting it in half for me and my sister.